Could You Live at Home While Your Extension is Being Built? - BuildHer Collective. 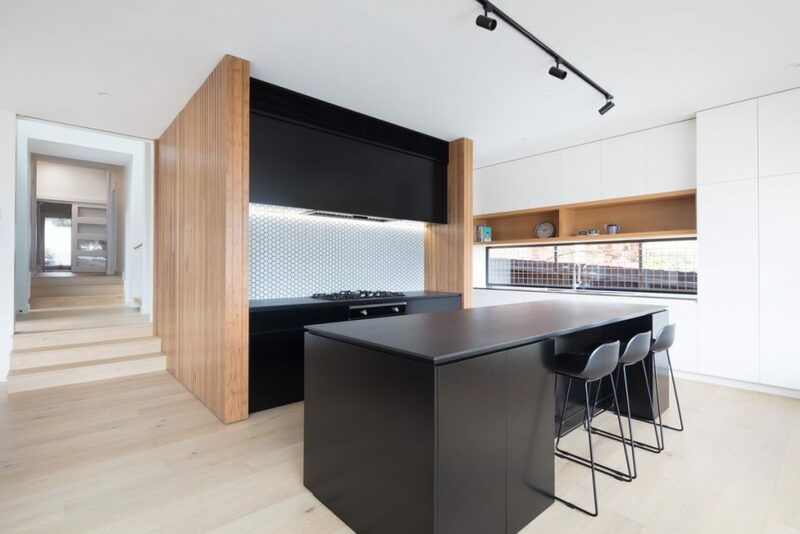 In need of some extra space, but dreading the idea of either moving out or living through a renovation, these homeowners took an alternative approach - a modular design by Modscape. A modular solution meant the Modscape team were able to build the extension in their factory (no rain days), while the family carried on with their lives. Four weeks out from installation date, the owners shipped out, while Modscape handled the necessary demolition and site works. The installation of the modules was completed in just one day. Three weeks later, the owners moved back into a fully finished home. No holes. No dust. 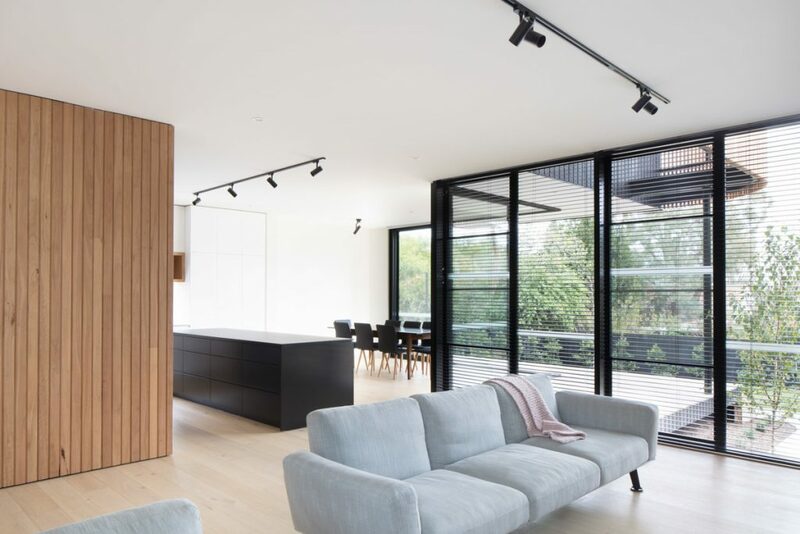 The resulting Ivanhoe Extension is spacious and light-filled - an open-plan living space opening onto the garden and a new parents' retreat upstairs. The existing home is now the kids' domain and a new entrance between old and new is the secret to a speedy on-site build. A dramatic entrance to the property. 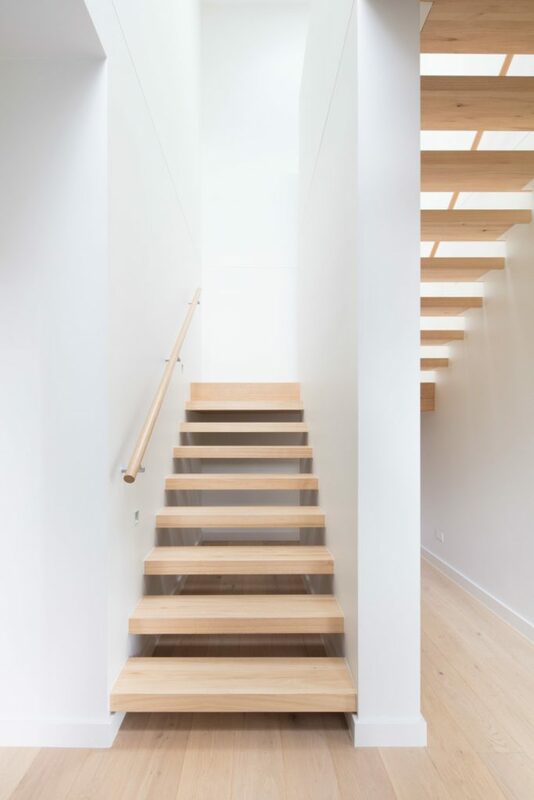 Light, bright and minimalist staircase. 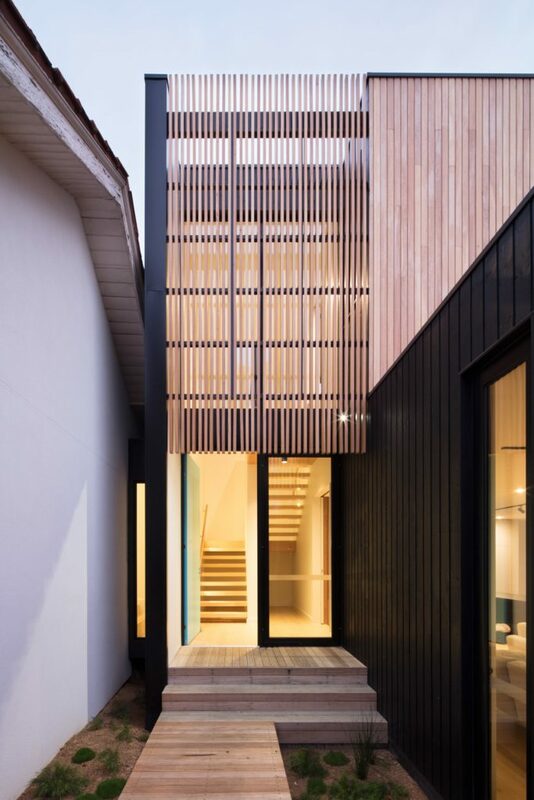 The new double-height entrance space creates a clean break between old and new, minimising the amount of work on the existing home, while the same oak flooring is used throughout to provide continuity and flow between the two zones. 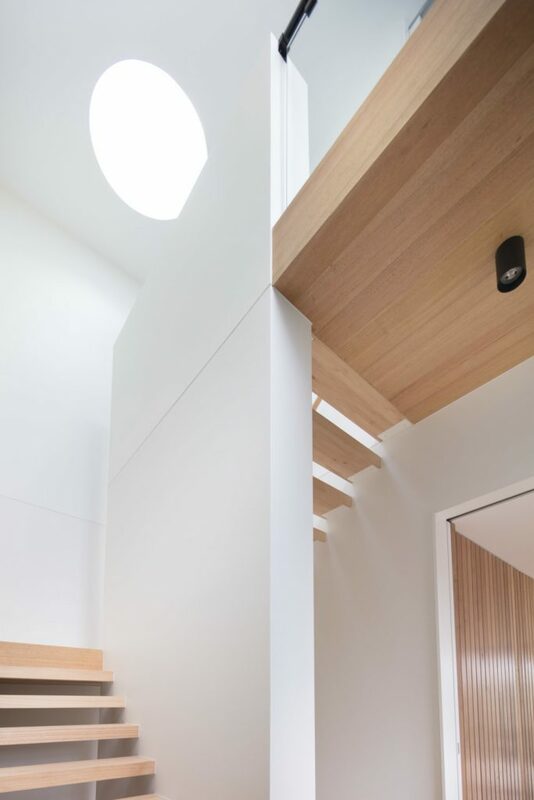 The new entry delights, with a circular skylight beaming light onto the open stair below. From here you step down into the open-plan living, which helps the design deal with a site sloping to the rear. 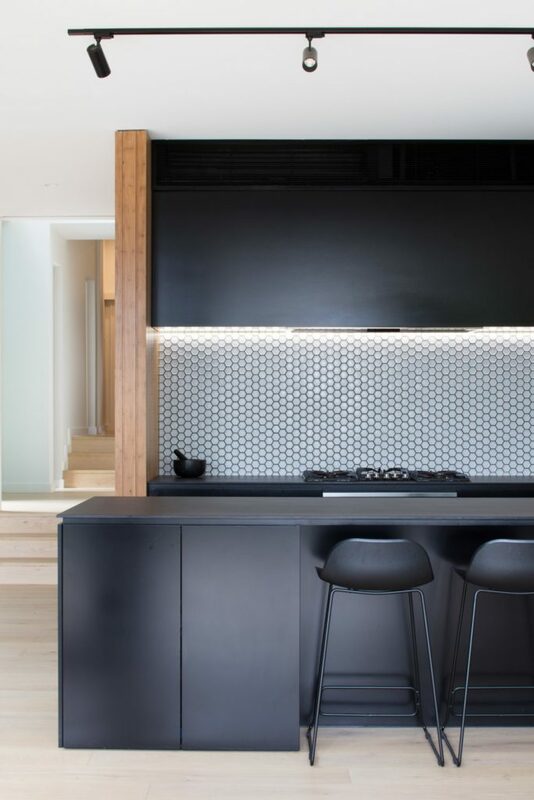 A large kitchen forms the new heart of the home, big enough for the whole family to cook, gather and socialise. The other living spaces radiate off the kitchen in an L-shape. Cornerless sliding doors and floor-to-ceiling windows expand the home into the garden. 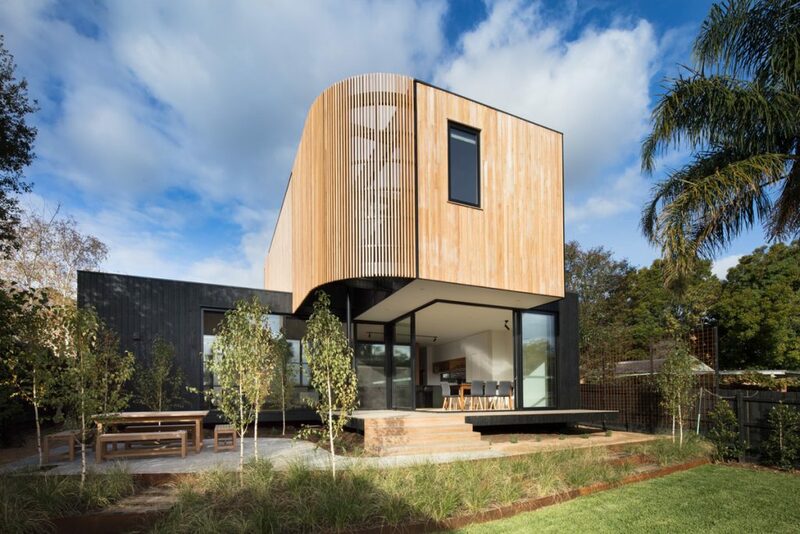 Sustainably-sourced Blackbutt timber wraps around the upper level as it cantilevers into the garden. Curving and breaking into a battened screen, the timbers provide shade and privacy for the bedroom. 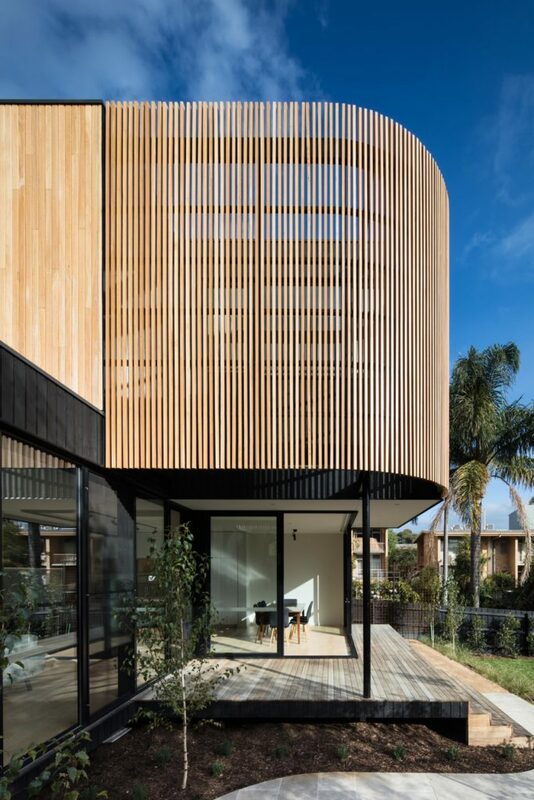 A sophisticated backdrop of dark-stained timber and COLORBOND® steel (Monument®) in the Diversaclad profile complete the external palette. The home includes both passive and active system to improve its environmental performance. 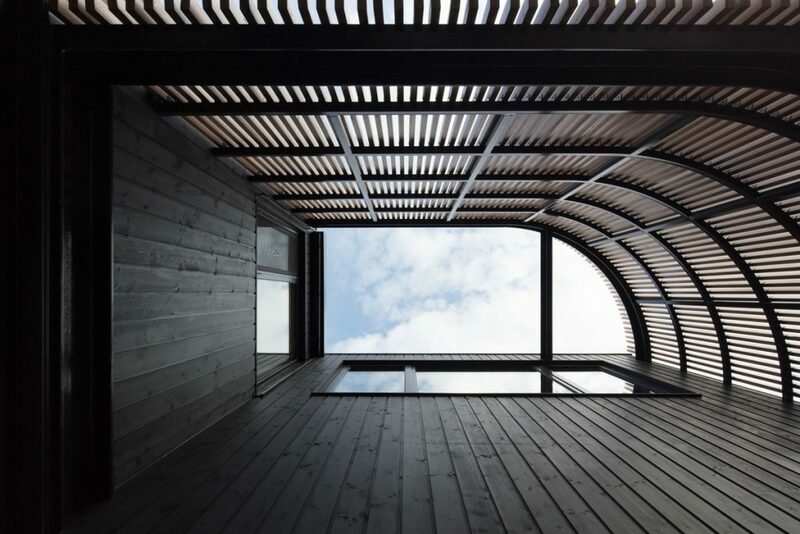 It makes use of passive solar design and cross ventilation, while double glazing, thermally broken window frames and oodles of insulation help to keep it warmer in winter and cooler in summer. While a 2000 litre water tank and water efficient fixtures minimise water usage. Ivanhoe Extension is open, light-filled and a beautiful compliment to this leafy suburb. The benefits of modular design meant this family could have all this with minimal disruption to their lives. If space and your existing home allow, modular construction can be a great way to build, as I'm sure this family can attest!